Your personal photo memo game! 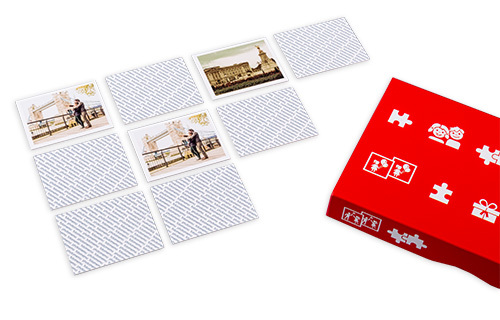 Trains your powers of memory and excellent entertainment at the same time. 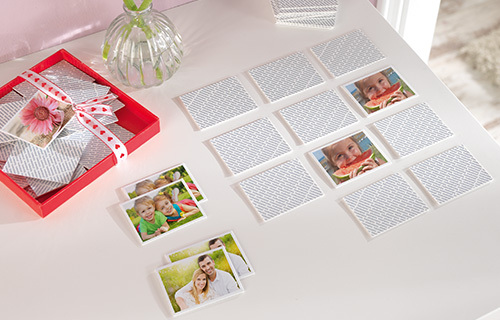 The photo memory game with your personal photos! These 50 cards with 25 pairs of your favourite pictures are made from especially hard-wearing material. They are supplied in an attractive folded cardboard box.